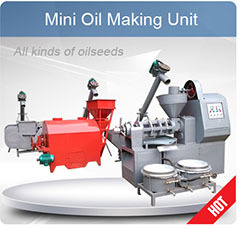 Soybean oil is widely used oil and is commonly called ‘vegetable oil’. Soybean oil is a very healthy food ingredient despite the bad publicity regarding fats and oils in general. It is very popular because it is cheap, healthful and has a high smoke point. Soybean oil does not contain much saturated fat. Like all other oils from vegetable origin, soybean oil contains no cholesterol. Saturated fat and cholesterol cause heart diseases and mainly found in products from animal origin such as milk, cheese and meat products. Soybean oil contains natural antioxidants which remain in the oil even after extraction. These antioxidants help to prevent the oxidative rancidity. 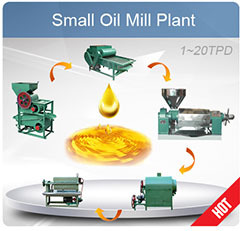 Soybean oil processing needs a lot of professional techniques, soybean oil extraction, refining are the most important process in the soybean oil plant.Crude soybean oil is typically shipped for refining to establishments engaged in the production of edible / vegetable oils, shortening, and margarine. Crude soybean oils contain small amounts of naturally occurring materials such as proteinaceous material, free fatty acids, and phosphatides. 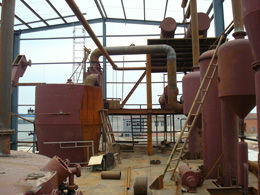 Phosphatides are removed for lecithin recovery or to prepare the crude oil for export. 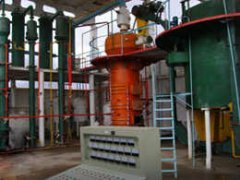 The most common method of soybean oil refining is by reacting it with an alkali solution which neutralizes the free fatty acids and reacts with the phosphatides. These reacted products and the proteinaceous materials are then removed by centrifuge. 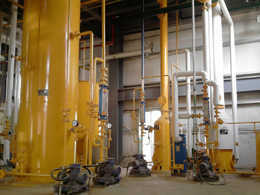 Following alkali refining, the oil is washed with water to remove residual soap, caused by saponification of small amounts of the triglycerides (oil). 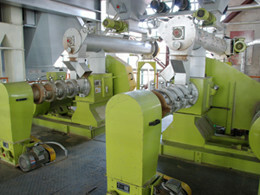 Color-producing substances within an oi (i. e., carotenoids, chlorophyll) are removed by a bleaching process, which employs the use of adsorbents such as acid-activated clays. 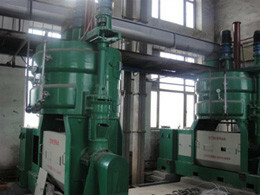 Volatile components are removed by deodorization, which uses steam injection under a high vacuum and temperature. 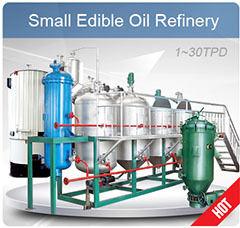 The refined oil is then filtered and stored until used or transported.